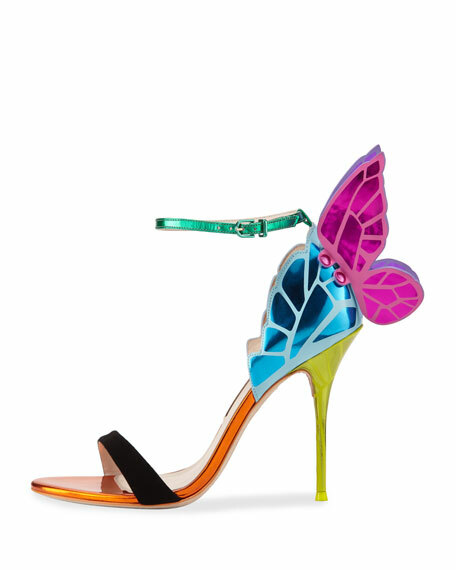 Glowy: My Fave Sophia Webster Heels Am Gushing Over. My Fave Sophia Webster Heels Am Gushing Over. 1. Sophia Webster Lacey Crystal. A shoe designed especially for Sophia’s own wedding! Heavenly pink multi strap sandal with a crystal bead heel from our Bridal Collection. 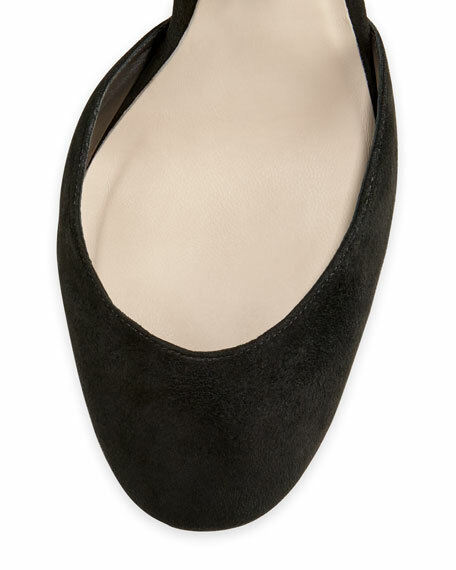 Embellished with tassels and a subtle heel cut-out. This shoe says “Wifey for Lifey” on the sole. 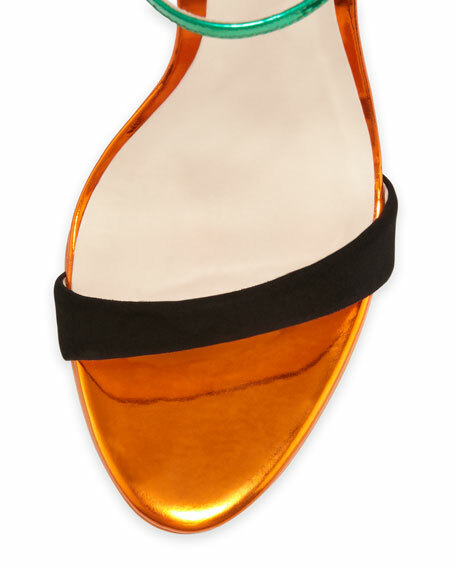 You can purchase the shoe here for $795. Happy new working week to each and everyone of us.... mehnn it's just like barely how many hours ago we wished ourselves a happy new month, and now we already 5days gone. Who else thinks that this year ran really fast? We shall get to see the new year by the special grace of God. Speaking of new year, we need to start incorporating new shoe styles into our fashion... that's a talk for another day. 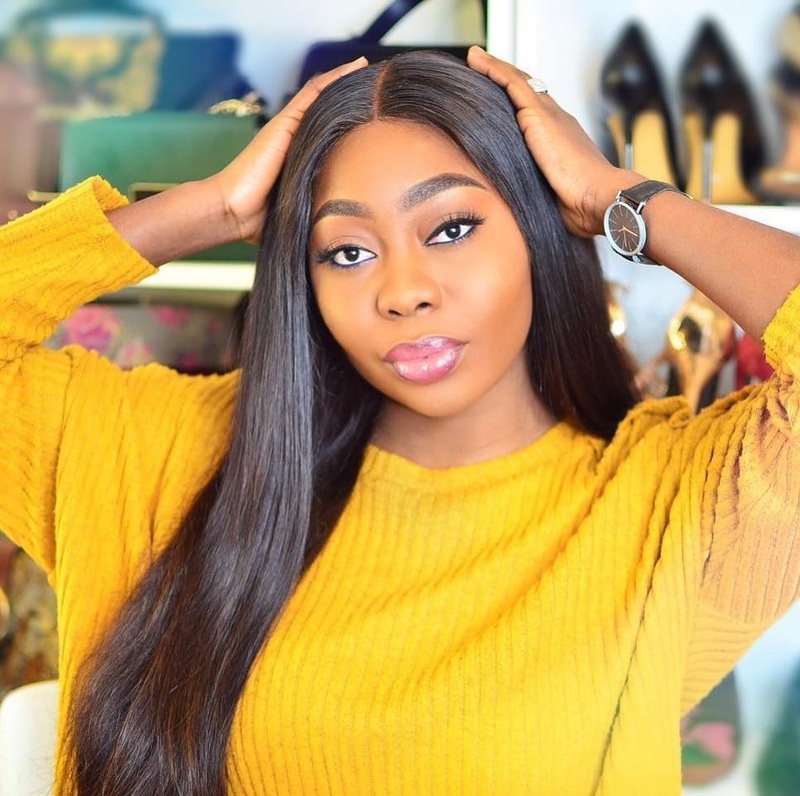 for today, am just sharing with us some of the sophia Webster heels am loving right now and some of them are wedding inspirations for any soon to be bride. 2. 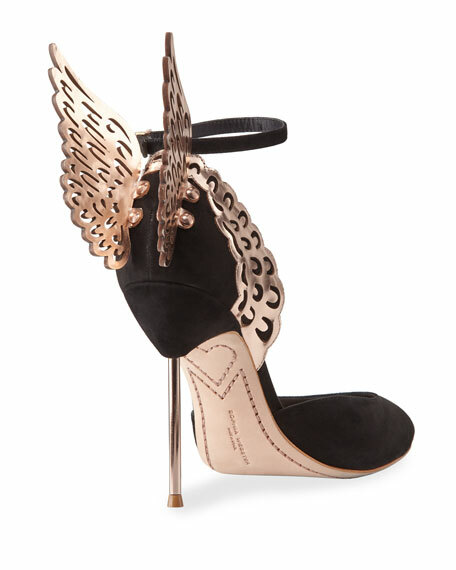 Sophia Webster Evangeline Angel Wing d'Orsay Pump, Black/Rose Gold. 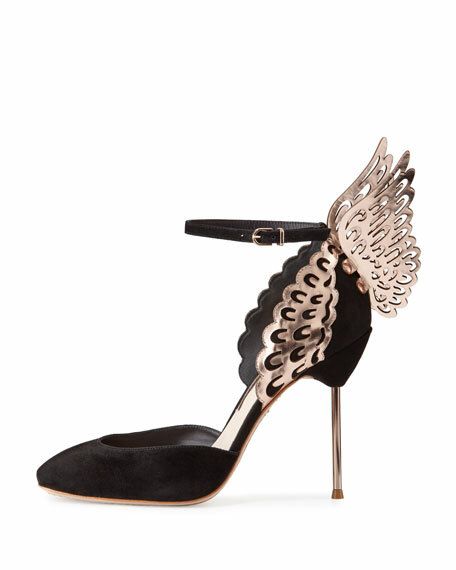 The shoe features a black suede upper, round toe, metallic 3D angel wings extend from heel counter., thin adjustable ankle strap and a 4" metallic pin heel. 3. 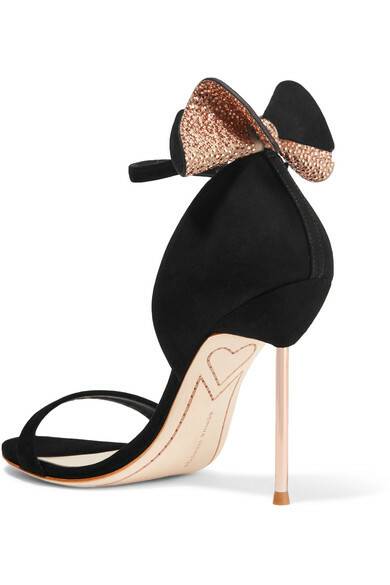 Sophia Webster Maya bow-embellished suede sandals. Part of the label's party-ready holiday capsule, Sophia Webster's 'Maya' sandals encapsulate the designer's playful aesthetic. 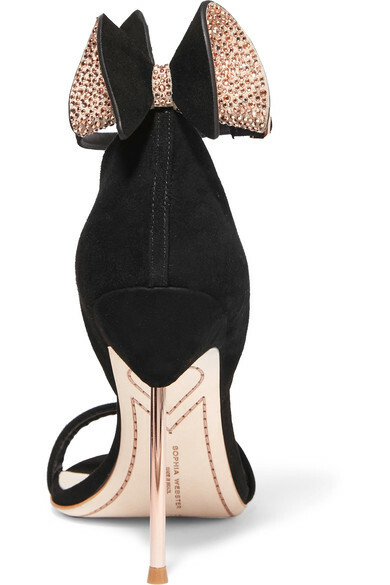 They are crafted from soft black suede with a crystal-embellished bow and complementary rose gold stiletto heel. We like them with everything from dresses to denim. 4. 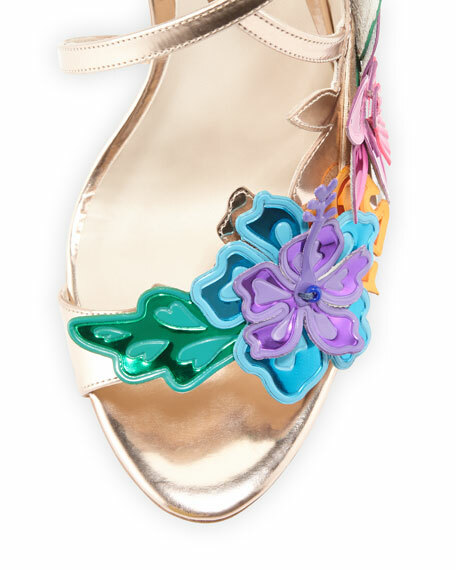 Sophia Webster Hula 3D Floral 105mm Sandal, Rose Gold. 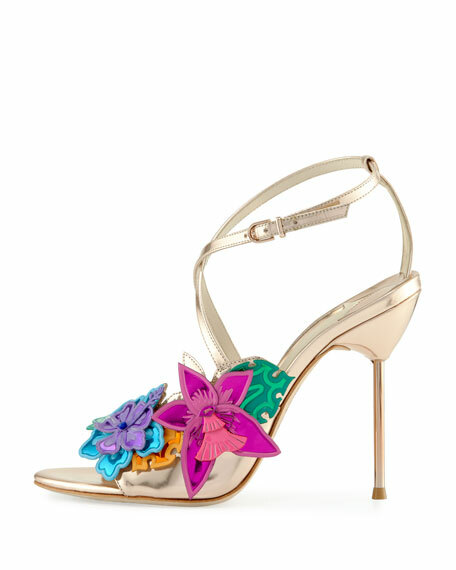 The shoe features a metallic leather, 3D floral-appliqué, strap bands open toe, crisscross ankle strap and a 4.3" metallic pin heel. 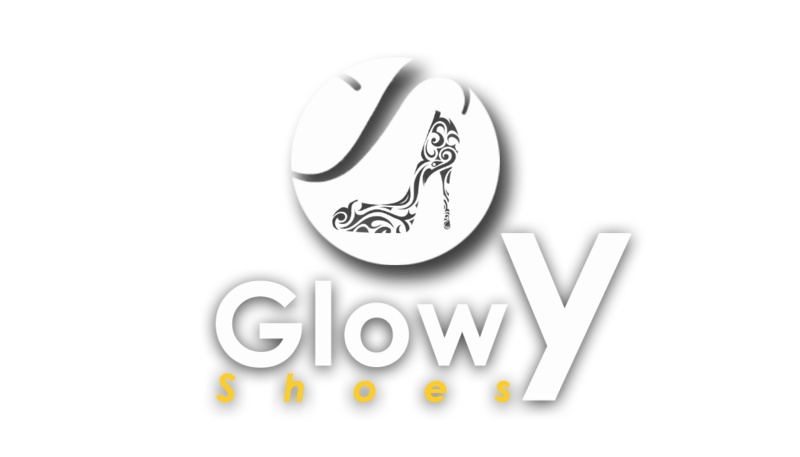 You can purchase the shoe here for $650. 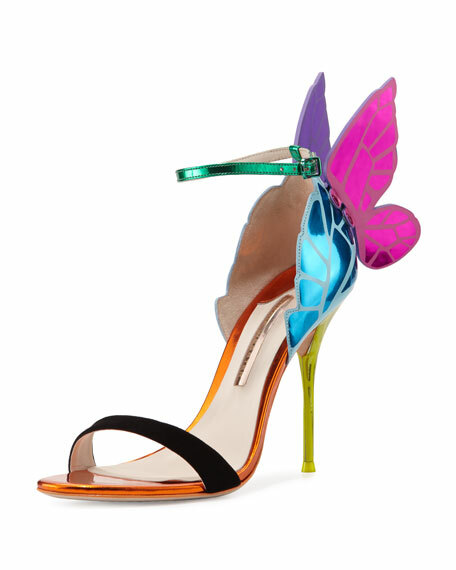 The shoe features a metallic calf leather d'Orsay sandal, suede strap bands open toe, scalloped heel counter, 3D butterfly wings extend from backstay, adjustable ankle strap and a 4.5" covered stiletto heel. Those angel wing and butterfly wings shoes are to die for ! WOW !!! Money must be made seriously..